Built in late 19th century and recently restored, the Bernini Bristol maintains intact to the tradition and the splendour of that era. 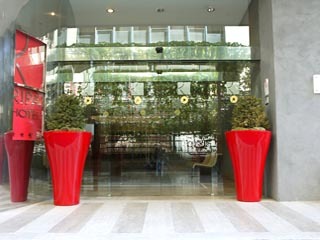 The Rooms and the suites decorated with taste and refinement, offer an atmosphere of great hospitality. The antique Hotel Bristol was inaugurated on 28 October 1874, in an area of ancient Rome - Horti Sallustiani - already known for its gardens. 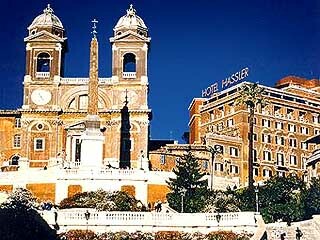 The Hotel Bristol also stood on land owned by the princely Barberini family, opposite the Palazzo, Pope Urban VIII commissioned the renowned Gian Lorenzo Bernini to sculpt the splendid Triton Fountain. The Hotel immediately became a hub for members of the European aristocracy. Its many noble guests have included Don Pedro II, Emperor of Brazil, Emperor Frederick III of Germany, the Tsarina Catherine of Russia, Alexandra the Princess of Wales and the Queen of England. 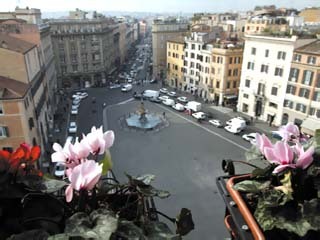 In 1938, it was rebuilt and its name changed to Hotel Bernini Bristol to honour the famous baroque artist. At the time, with its comforts and cutting-edge equipment including the first hydraulic lift, it was known as Italy's first modern Hotel. In the 1950s, the Hotel's Nightclub was the stage for young artists who were to become famous in the years of the La Dolce Vita. 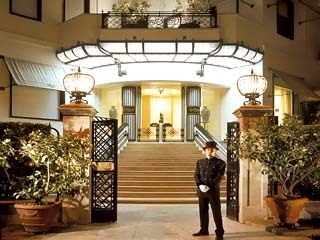 Since 1973, it has belonged to Sina Hotels. After a complete renovation, the Hotel continues to welcome discerning travellers along with guests from the worlds of business, politics and diplomacy. 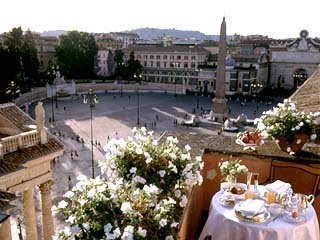 The extraordinary 360 degree view on the Eternal City is an irresistible call not only for the guests of the Hotel, but also for all the visitors who wish to taste the specialties of the Mediterranean and international cuisine interpreted in a modern perspective by the chef Michele Simioli and his staff.